Do you have to drink while on a date? 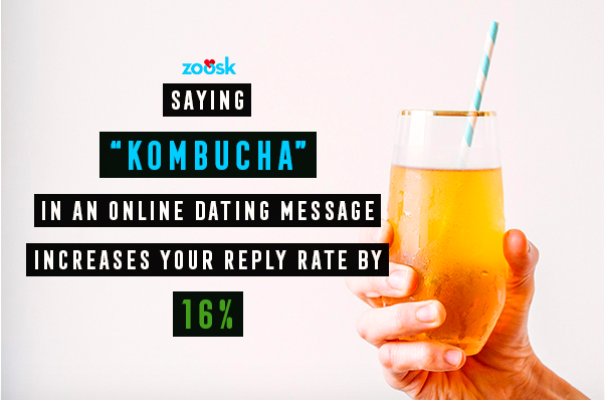 In polling over 8,000 online daters and analyzing over 100,000 messages, dating app Zoosk asked these questions and more for this Drinking Study. 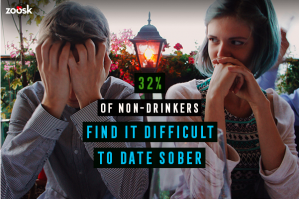 Some of their findings show that singles are drinking big time on dates, with the majority, 72% consuming alcohol. Since 1/3 of singles are non-drinkers, and it can help relax you if you’re nervous about a date, how does dating sans alcohol affect their dating lives? 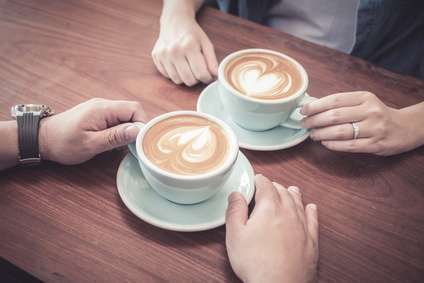 No one should feel pressured at all on a first, date, but the Zoosk Drinking Study found that 10% of singles actually pretended to sip an alcoholic drink while on a date. How do singles really feel about drinking on a date? A majority of singles (92%) order their first drink before their date arrives. A majority of singles (73%) believe meeting for drinks makes a good first date. Over half of singles (55%) think two (2) drinks should be the maximum on a date. Mentioning “sparkling wine” in your online dating profile or message increases your response rate by 29%. All of this pressure to drink to feel more relaxed on date isn’t that necessary. The study found that almost a third of non-drinkers find it more difficult to date when they didn’t drink, but it’s not all doom-and-gloom. 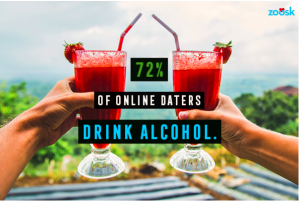 A majority of drinking singles (86%) say they’d date a non-drinker, and non-drinkers (81%) are open to dating those who drink alcohol. If you feel the pressure to order a beverage, and you’re not interested in getting a buzz, try ordering kombucha, ginger ale, tonic and water, cranberry and soda, iced-tea, or an espresso. Or, in the alternative, suggest a fun outing or daytime date that doesn’t include alcohol. We’ve got plenty to choose from here. Julie Spira is America’s Top Online Dating Expert and Digital Matchmaker. She’s the CEO of Cyber-Dating Expert, and has been coaching singles on finding love online for over two decades with her Irresistible Profiles programs. FOLLOW @JulieSpira on Twitter, Instagram and Facebook.